V-Maxx Lowering Springs VW Polo 6N VMLS35VW95 kit. 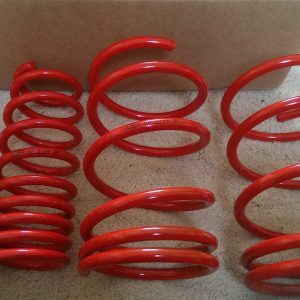 V-Maxx Lowering Springs VW Polo 6N VMLS35VW95 suitable for year 8.94-6.99. This V-Maxx Lowering Springs kit lowers the vehicle by Front: 40mm and Rear: 40mm. V-Maxx Lowering Springs VW Polo 6N VMLS35VW95 kit. V-Maxx Lowering Springs VW Polo 6N VMLS35VW95 suitable for year 8.94-6.99. This V-Maxx Lowering Springs kit lowers the vehicle by Front: 40mm and Rear: 40mm. V-Maxx performance products are selling in 65 countries worldwide, and fast becoming a familiar name on the tuning scene. V-Maxx have won various awards over the last few years, such as being the only suspension brand to win in both the 2008 and 2009 Fast Car Awards. The various team members behind V-Maxx have plenty of experience in the performance parts industry and are continuously bringing new kits to market. The V-Maxx Coil Spring range has grown to well over 3000 applications so far, with more to come! In addition to their high quality control, V-Maxx also fulfil quality standards such as TUV. Note: All kits come with TUV approval (unless otherwise stated in product notes). Note: All kits include 4x quantity (unless stated otherwise) coil springs. 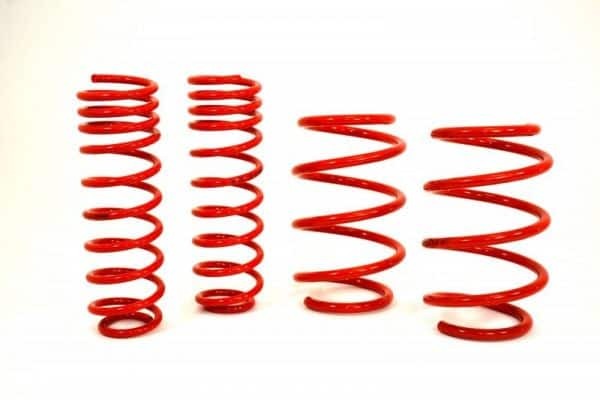 Please contact us for price match discounts on V-Maxx Lowering Springs VW Polo 6N VMLS35VW95! Occasionally, lowering amount may be different from TUV regulation allowance. Lowering in some cases, may be less than stated amount on vehicles with lowered factory suspension. Stated drop rates may vary, plus 10 mm or minus 10mm (approx) dependent on vehicle spec, options, tolerances & age. E.g. pickup conversions, with more or less rear weight. *Please note: After any ride height adjustment,we recommend checking the vehicle’s geometry and re-aligning if needed, using suitable equipment. Not doing so can result in uneven or excessive tyre wear, and in some cases even affect how the vehicle handles. Based on the wheels fitted, some vehicles may need wheel spacers and also arch mods for fitment after lowering. Please check before ordering. If unsure, use our calculator on our alloy wheel guide page. Kits ideally should be fitted by an experienced professional. DIY fitment is at customers own risk. If you are unsure about fitment, please email us. Mainland UK postage is free, however as many kits come from European stock (stock level dependant) please allow up to 3-6 working days for delivery.